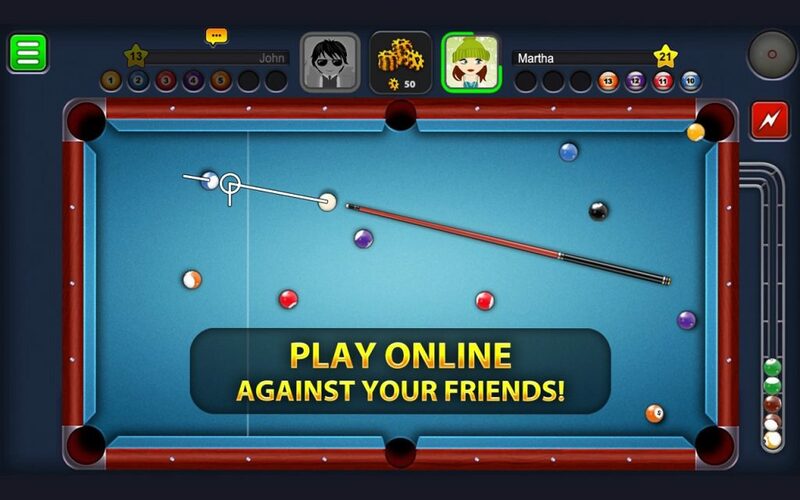 Home / Games / 8 Ball Pool: Play Pool with friends! Pool (cue sport) is a sport consisting of a stick and balls on a table. This is a sport that highlights athletes’ sophistication and art. This sport originated in France in the 14th century and it is gradually becoming popular in many countries. There are many billiard games released on different platforms. In particular, 8 Ball Pool is the most popular online game of pool on mobile with over 11 million rating and hundreds of millions of downloads on Google Play. You can choose between competing with top players from around the world or challenging your friends directly. 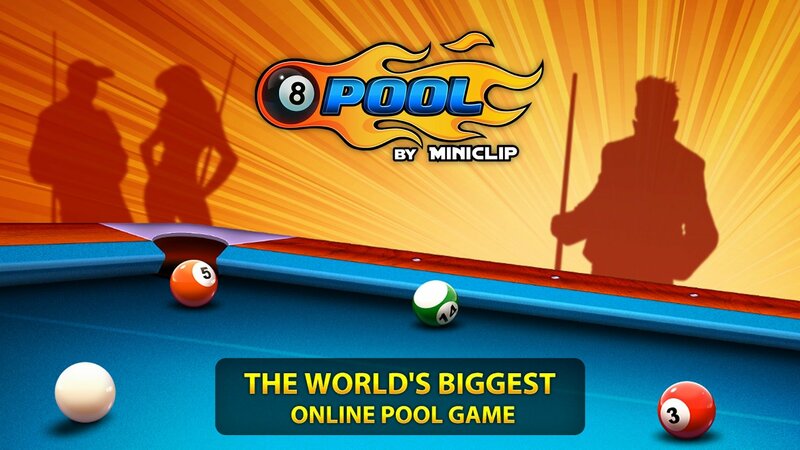 Like the name of this game, 8 Ball Pool applies 8 ball pool rules. On the table with 15 numbered balls, the player’s task is to hit all the balls into the pocket (the ball is numbered from 1 to 7 and from 9 to 15) so that the ball number 8 is pushed at the end and who wins the number 8 ball is the winner. The game consists of 5 levels London, Sydney, Moscow, Tokyo, and Las Vegas. The fee to pay for each level is increased gradually. If you win, you will win the opponent’s money and get back the previous bet amount. That is, if you bet 60000 coins, you will receive 120000 coins if you win. If you lose, sure you lose your bet. The gameplay of 8 Ball Pool is quite simple. Use your finger to adjust the direction of the stick while pulling the force gauge to push the balls into the pocket. The longer you drag the stick, the stronger the thrust of the ball. Applying this rule well and using appropriate tactics, you can become a leading billiard player in the world. Do you want to be as good as Willie Mosconi? Play 8 Ball Pool. The most interesting feature of 8 Ball Pool is the 1v1 mode that allows you to join a match with players around the world. You can challenge a player from England, France or Japan, like an Olympic for everyone. To help the game uninterrupted, each player has only 30 seconds to make his decision. If you revoke your turn, the opponent can move the cue ball to anywhere on the table (ball in hand). If you drop the cue ball into the pocket, you must be subject to the same penalty. Besides, you can see some information about the opponent by clicking on their avatar. Each player’s level is assessed by the number of stars. You can see their match numbers, number of wins, their number of matches and their rankings on the rankings. The game finds your opponent based on your star number and level. So you should win as many opponents as possible, have a high rank on the rankings to have a chance to meet the best players worldwide. Currently, the game does not yet have a feature that allows players to chat freely in the match. Players can only chat with existing words like “Nice”, “Good game” or “Nice try”. 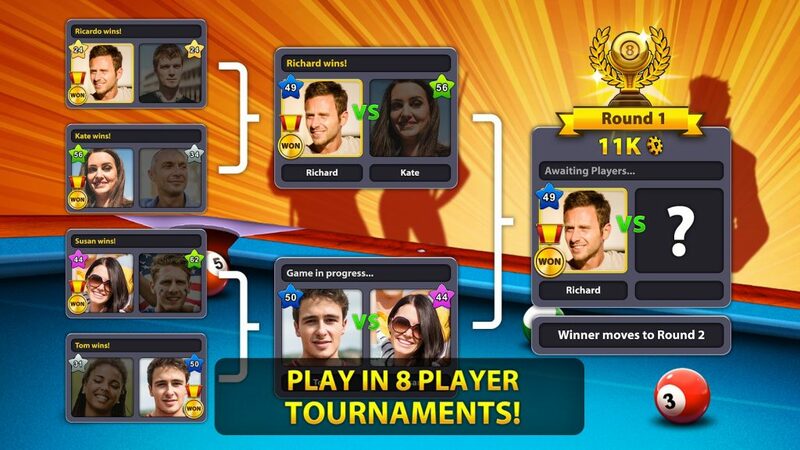 Besides, 8 Ball Pool has a tournament mode that allows you to create a small tournament for 8 players to find the champion. However, before that, you need to log in to your Facebook account or via Miniclip account. You can also participate in any tournament of other players. When winning, the champion will receive a lot of coins and can use it to buy new items in Pool Shop. You can use the money to buy sticks and some high-end accessories. Besides items, you can use the money to buy some skills such as skill to find signs or skills to spinning. 8 Ball Pool is a billiard game for mobile phones and tablets. The game is designed based on simple 2D graphics, not too sophisticated. However, it is undeniable that the game’s physical interaction is excellent. It feels great to push a ball into the pocket and when winning a match. Besides, the sound interacted quite well with the game, giving you the feeling of playing a billiard match in real life. How can I get coins in 8 Ball Pool? You can earn 25 coins per hour by clicking the Free Coins button. Besides, you can watch ad videos or get 1 Pool Cash every time you level up. 8 Ball Pool is an online game, can I be banned when using the mod version? High possibility. You should play carefully to avoid being banned by the system. Good luck! 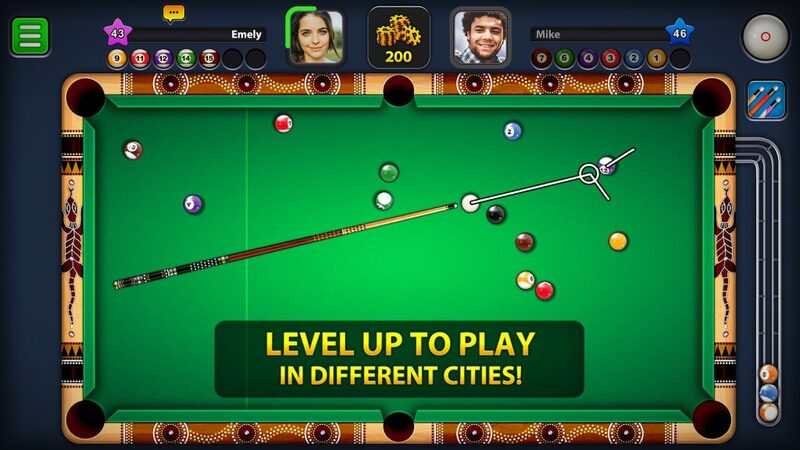 Overall, 8 Ball Pool is a “must-have” game on your phone if you are a fan of billiards sports. Join the largest billiard community in the world, compete and become a great player. 8 Ball Pool MOD APK is ready to download! 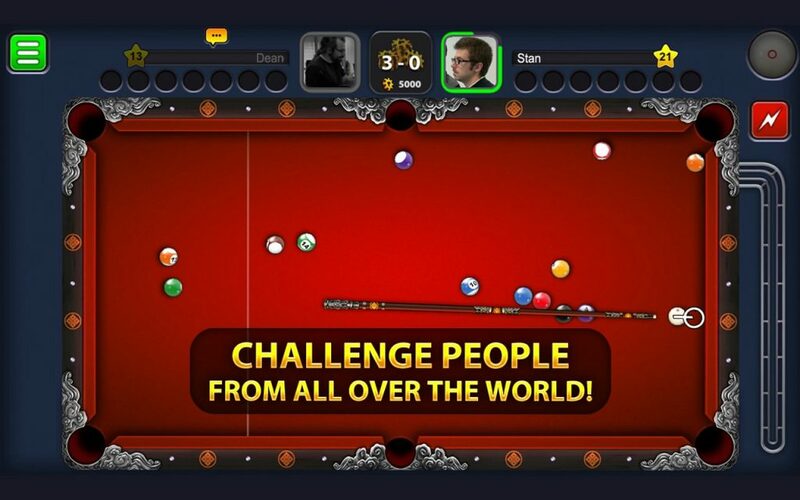 Depending on your needs, you can download 8 Ball Pool MOD APK or 8 Ball Pool Original APK. Or install from Google Play / App Store if you want.